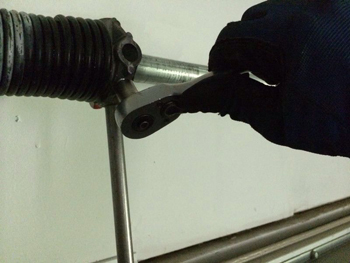 Getting the springs fixed on your garage door can seem like a very bothersome task. Even so, some people like to do this job by themselves instead of hiring someone to do it for them. We do not recommend doing that. Not just because we would not see any profit from it, but really because it can be dangerous work. Garage doors are extremely heavy and one wrong move and you are underneath a heavy garage door with no way of getting back up. Do not let this happen to you if you need to repair or replace any of your garage door springs. Instead, call us and we will take care of the problem for you, like the professionals we are. With some garage door companies, the customer is just not a priority. This is not so for us at this Jericho garage door company. We want you to know that if it was not for our customers, we realize that we would not have a business or a leg to stand on. Whereas other garage door companies treat you as an afterthought, we are the garage door company that cares about your opinions and concerns in regards to your garage door. We are sure that you will find our customer service and work quality more than sufficient and hopefully you will tell others about us, too.